Herbert L. Conner, Sr., 89, of Ooltewah went to be with the Lord on October 5, 2018. Called “Major” by those that knew and loved him, he was a wonderful husband, father, grandfather, great-grandfather, uncle and a dear friend to many. He was a veteran who loved his country, a business leader and an active church servant. 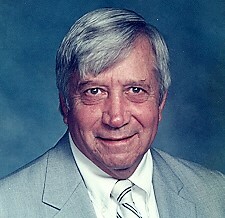 Herbert was born on January 27, 1929 in Trenton, Georgia. He was preceded in death by his parents, Homer and Stella Conner; sister, Louise Odom; brother, Roy Conner; and grandson, Eric Conner. Survivors include his devoted wife of 68 years, Barbara (Nabors) Conner; son Herbert, Jr. (Denise) Conner of Taos, MO; daughter Deborah (Roger) Paul of Fernandina Beach, FL; son Gary (Sandra) Conner of Ooltewah; daughter, Marica (Jerry) Merck of Athens; sisters, Joyce Blackstock of Chickamauga, GA and Dorothy (Gary) Bryant of Ooltewah; grandchildren Christi (Mike) Zaffaroni of Jacksonville, FL; Dean Kelly; Dana Owen of Ft. Oglethorpe, GA; Morgan (Devin) Kempker of Columbia, MO; Ben Conner and Elizabeth Conner of Taos, MO; several beloved nieces, nephews, great-grandchildren and extended family members. Herbert grew up in Trenton, Ga., and graduated from Dade County High School in 1946 and then attended Reinhardt College in Waleska, Ga. In 1947, he joined the U.S. Army. Some of his assignments included: working with MacArthur’s Headquarters in Tokyo; the Inchon Invasion and the Chosin Reservoir battle as a member of the 10th Corps during the Korean War; additional tours of duty in both Japan and Korea; a Commanding Officer role with NATO Headquarters in Izmir, Turkey; Assistant Chief of Staff at Cam Rahn Bay during the Vietnam Conflict; Chief of Administration in the U.S. civil oversight of the Ryukyu Islands in Okinawa for nearly three years along with several stateside assignments, that included personnel management during the Cuban Missile Crisis and the integration of the University of Mississippi. In 1971, after 24 distinguished and decorated years, Herbert retired from the Army as a major. He settled in Hamilton County and became the director of personnel at Moccasin Bend Mental Health Institute, a role he held for more than thirteen years before retiring from the State of Tennessee in 1985. Herbert and Barbara then moved to Florida until returning to the Chattanooga area in 2007. He was an active member of several churches during his travels, serving in multiple leadership roles and a member of the Gideons. Most recently, he has been a member of Short Creek Baptist Church in Athens, Tennessee. He was also an avid fan of the Atlanta Braves. Special appreciation goes out to the caring staff at the Bridge in Ooltewah and Hospice of Chattanooga. On Tuesday, Oct. 9, there will be a time of visitation from 11 a.m. until 1 p.m. followed by a funeral service at 1 p.m. at the Chattanooga Funeral Home, Valley View Chapel, 7414 Old Lee Highway, Chattanooga. That will be followed by burial at the Chattanooga National Cemetery. In lieu of flowers, memorial contributions may be made to Hospice of Chattanooga, 4411 Oakwood Dr, Chattanooga, TN 37416 or the Gideons International, P.O. Box 97251, Washington, DC 20090-7251. Memories and expressions of sympathy may be shared at www.chattanoogavalleyviewchapel.com.